Marketplaces and prices shown matched UPC number 887961274318 during our search. 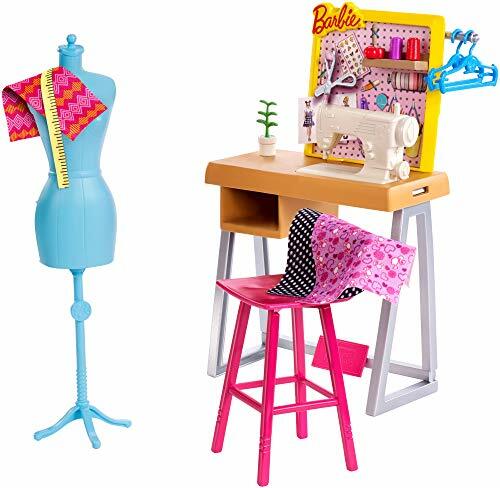 Explore the sweet fun of owning a bakery with this Barbie bake shop play set. Brightly adorned with sweets galore, the shop features display shelves above and below the counter. Play out cake making with a cake accessory that features multiple layers or serve up cupcakes on the cupcake tray. Ring customers up at the register or give them a treat on the house -- you're the boss. Barbie doll is ready to heat up the kitchen in a t-shirt with cupcake graphic, denim-style skirt and pink shoes. 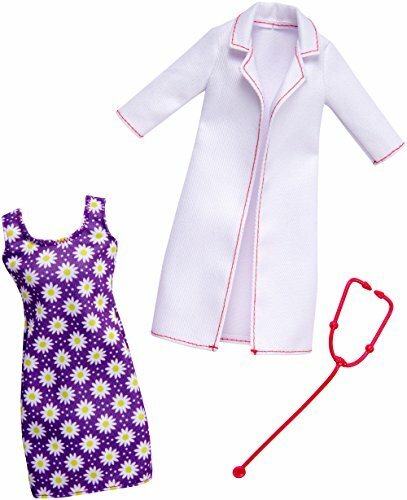 Set includes Barbie doll wearing fashion and shoes, bake shop counter, multi-layer cake, cupcake plate with cupcakes and register. 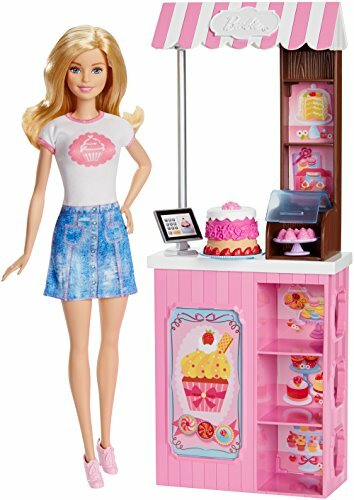 The bakery-themed play set includes Barbie doll wearing fashion and shoes, bake shop counter/cabinets/canopy, multi-layer stacking cake, a cupcake plate with cupcakes and silvery register. Doll cannot stand alone. Colors and decorations may vary.